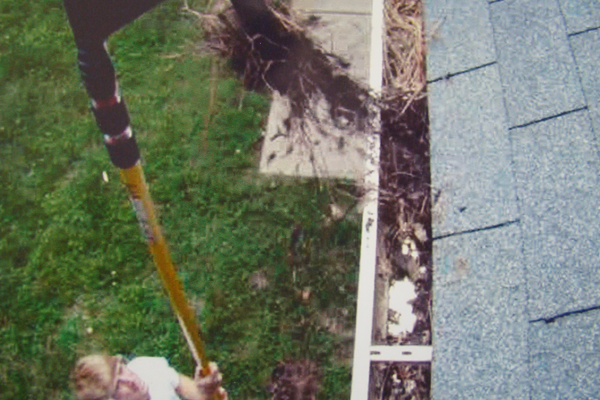 Clean Your Gutters – Without a Ladder! 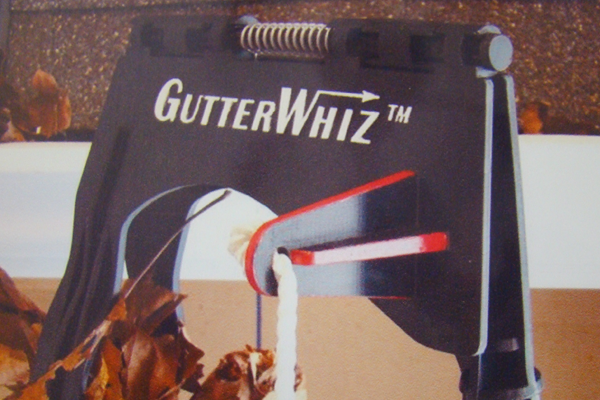 GutterWhiz® – Finally, a DIY tool that lets you clean your gutters from the safety of the ground without a dangerous ladder, messy water hoses, blowers or vacuum attachments. No need for expensive capped or screened gutters that can still clog and run over during heavy rain. Save hundreds of dollars over commercial gutter cleaner services – especially when gutters often re-clog in as little as one week. More than pays for itself in only ONE USE! Prevent damage and rotting of siding, windows, and doors and the huge expense of house settlement, caused by water standing at the foundation. Use GutterWhiz® over an over each season. WET or DRY – GutterWhiz® does it all – Leaves, pine needles, pine cones, toys, balls – “…you never know what you’ll find!” After use, simply rake up the debris for easy disposal or recycle. Attach a 10-15 foot fiberglass handle extension pole (not included) for use on gutters up to 13 feet high – all one story homes, as well as most split level and dutch colonial style homes. 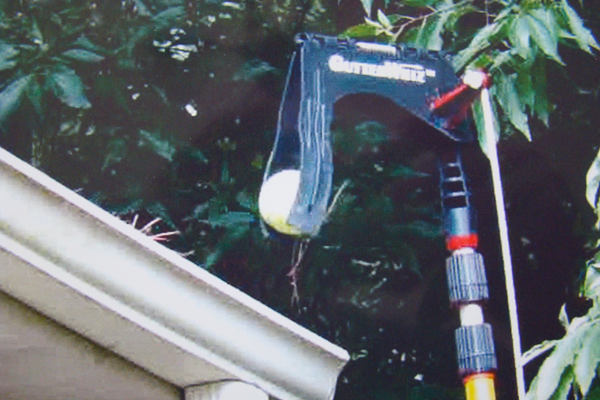 For two story gutters over 15 feet high, the use of GutterWhiz® is subject to the user’s physical strength and ability to wield a longer extension pole. For electrical safety, do not use within 10 feet of electrical lines. Extension pole MUST be of the electrically insulated type such as with a fiberglass handle. GUTTERWHIZ IS A TRADEMARK OF GUTTERWHIZ, LLC, CHESAPEAKE, VIRGINIA.